Acquisition could lead to new commercial services in scientific peer review. Courtesy of Clarivate. 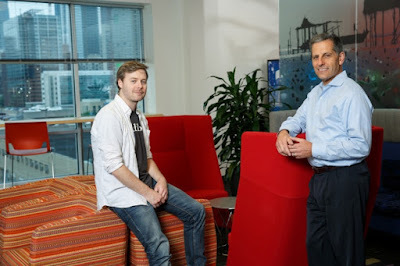 Publons co-founder Andrew Preston and Jay Nadler, chief executive of Clarivate Analytics. The acquisition — financial details of which were not disclosed — might mean that Clarivate and Publons will sell science funders and publishers “new ways of locating peer reviewers, finding, screening and contacting them”, says Jessica Turner, global head of the scientific and academic research business at Clarivate, headquartered in Philadelphia, Pennsylvania. Both firms already offer services that some journals use to find peer reviewers, she adds. Together, the companies now own large data sets that detail scientific authorship and citation patterns, as well as peer-review networks, across thousands of scholarly journals. That’s a rare combination: competing science publishers tend to keep details of their favoured peer reviewers secret. Publons — which will continue to run as a stand-alone business — is particularly keen to help publishers tackle fake peer review, says its co-founder Andrew Preston. The issue has led to hundreds of retracted papers over the past few years as journals have discovered compromised review systems. In such cases, authors typically suggest apparently genuine reviewers for their papers, but provide bogus e-mail addresses that they or their friends control, and from which they send in their own reviews. Because reviewers on Publons verify their e-mail addresses when they register with the site, the firm is effectively building a network of trusted, verified reviewers, with details of their peer-review record, Preston points out. “We can solve a lot of the inefficiencies that come out of the anonymous, siloed nature of peer review,” he says. Publons data have already been used to analyse inefficiencies in peer review: one paper, for example, suggests that in 2015 just 20% of scientists undertook the majority of peer reviews. Many researchers may not be familiar with Clarivate Analytics by name. 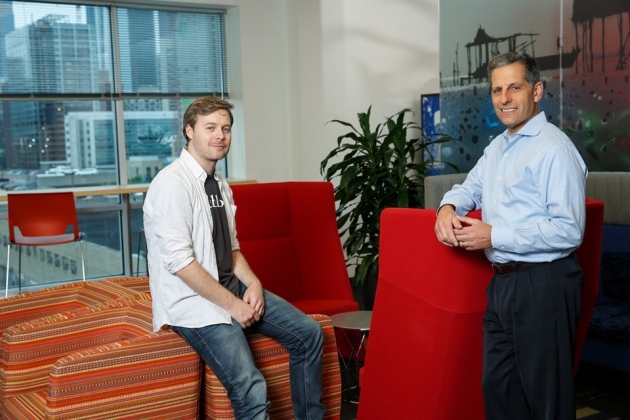 The company was officially launched as an independent firm just eight months ago. But it is influential in science because it holds the former intellectual-property and science division of Thomson Reuters, the multinational news and information company. Last year, two private-equity funds bought that division in a US$3.55-billion deal, and in October, they announced Clarivate as the name of the firm that would own it. The company owns other products alongside Web of Science, such as large patent databases and the ScholarOne system, which is used by some journals to manage their peer-review and publication processes. Some industry observers had speculated that the private-equity funds would break up the division into parts to make a quick profit. But Turner says that they have invested in Clarivate and see “significant growth potential” in its scientific and research business. “Publons now find themselves at the heart of the rebuilding programme to support Clarivate’s reinvention, and a vital part of the system of reference and authority needed to maintain scholarly communication in a digital, networked age,” says David Worlock, a UK-based publishing consultant with knowledge of the deal. “If Clarivate can manage the next stages appropriately, then they have a chance to solve many of the issues around bringing pre- and post-peer review together,” he adds.